Major objective of this article is to know about Restaurant Manual. 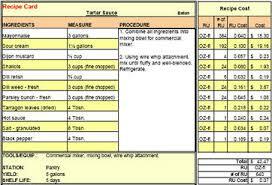 Restaurant manual provides a lot of information on specific subjects for instance rules, the ingredients around the food, all of the positions in the restaurant plus much more. There is really not much left to the actual imagination in most of these manuals, because its main job is to have written answers to every questions that the actual restaurant employees could have. Restaurants that produce these manual for his or her employees, do so to ensure that they cover every questions that their staff could have about their work, their role in the restaurant and exactly how everything works.